At the Dallas Safari Club Convention in January of 2015, I was able to meet Bradford O’Connor and hold Jack’s #2 Winchester Model 70 in 270 Winchester. That is O’Connor’s Pilot Mountain Dall on the right and the Dall on the left is from the Herb Klein collection. It ranked high in the book when it was taken. 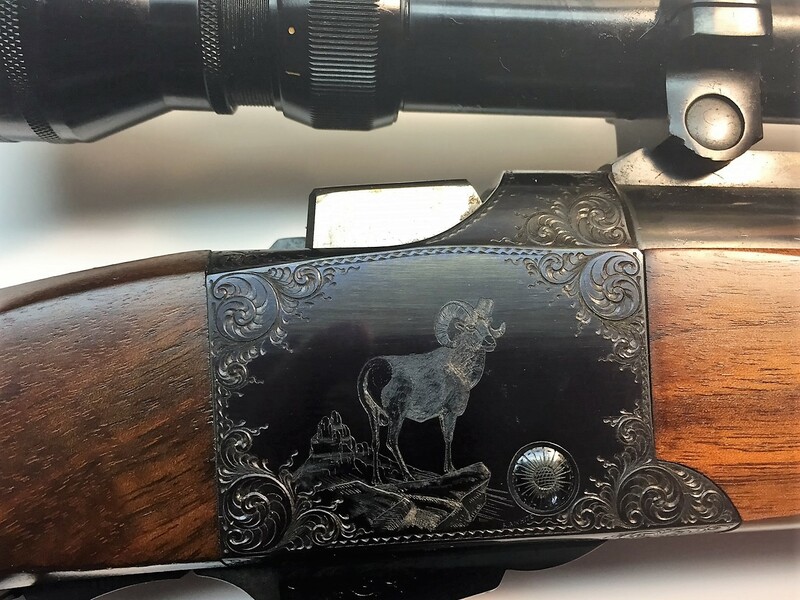 In 1988, Bradford was instrumental in directing me to his sister Kathy that culminated in my purchase of the Jack O’Connor “21 Club” Ruger No.1 rifle, a 375 H&H magnum, serial #20. 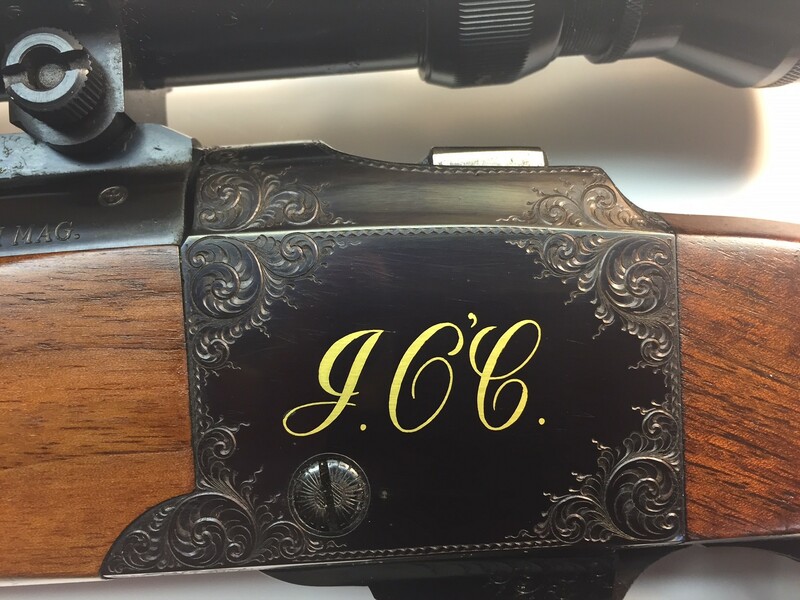 The Jack O’Connor rifle, serial# 20 in .375 H&H. The Jack O’Connor rifle, serial# 20. Note the vertical ring in the front position. 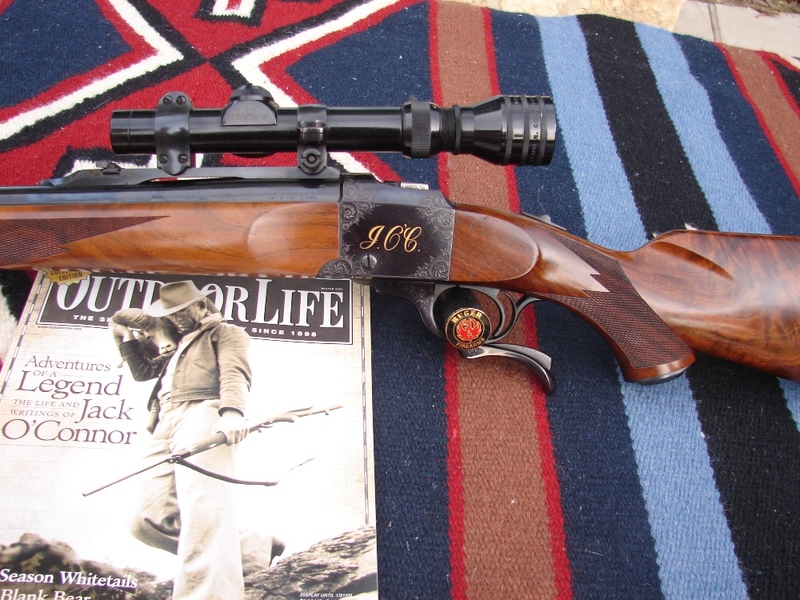 this rifle is pictured in O’Connor’s book, The Hunting Rifle, page 58.